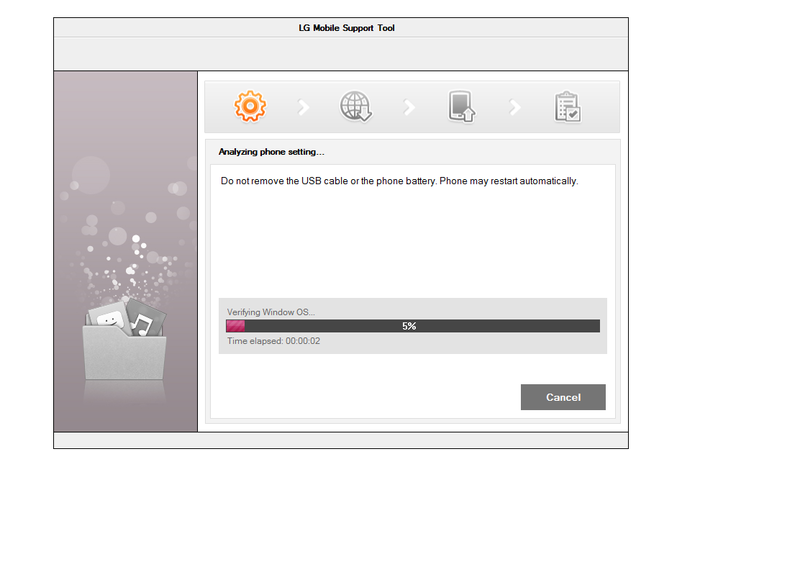 Model Wireless: LG myTouch Q (C800) Stuck on LG Logo Fix Solution ! 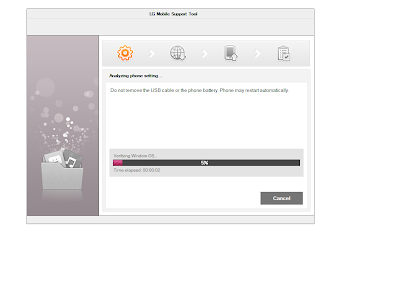 LG myTouch Q (C800) Stuck on LG Logo Fix Solution ! 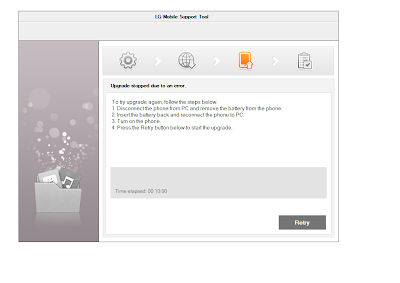 I was trying to Install CWM recovery on my LG myTouch Q (C800), for some reason when I clicked on Reboot into Recovery .. It got stuck on the Lg Logo .. I was terrified .. I tried about everything from trying to Master reset , using the External Keys . Phone is turned off, press and hold the Power/Lock + Volume Down + Qwerty F + Qwerty A Keys at the same time (for over ten seconds). Press and hold the following keys at the same time for 15 seconds: Power/Lock Key + Volume Down Key. I searched every forum . I google about anything that related to stuck on Lg logo Mytouch q c800 fix repair .. but it seemed as everyone else had the same issue just not the solution. After messing around and searching endless options (2hrs) .. I remembered that if the phone was able to go into download mode/S/W Upgrade mode .. than its possible to restore the phone or do a recovery with Lg Mobile tool. In order to connect your phone to your PC, you must download and install the latest driver below to you PC. Please select "Run" when prompted. When you are finished continue to step 2. Note: See PC Requirements below. Make sure to bookmark this page. 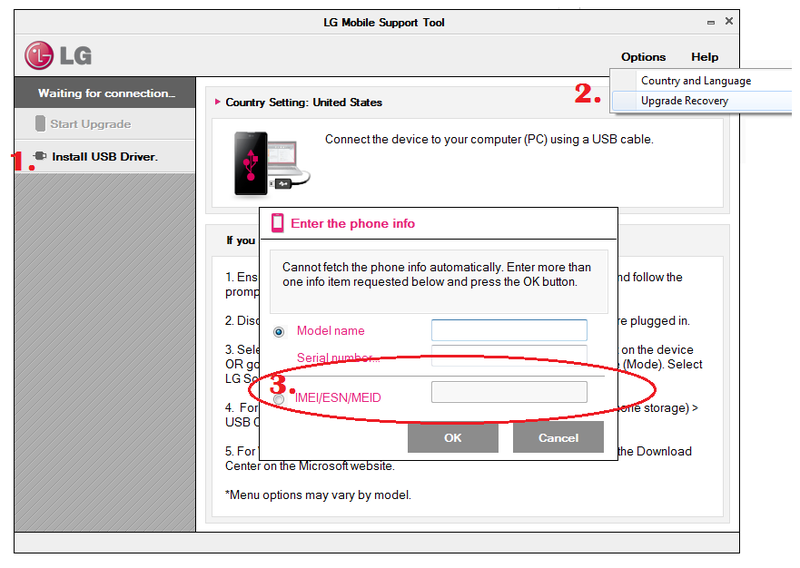 When you restart your computer, click on your bookmark to return to this page and install the LG Mobile Support Tool. 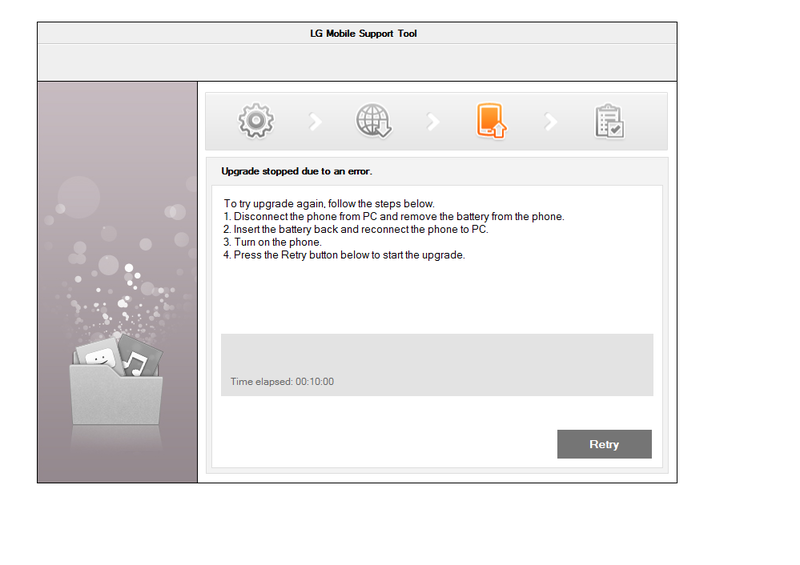 The LG Mobile Support Tool will easily help you update the software for your device. Please select "Run" when prompted. 3. 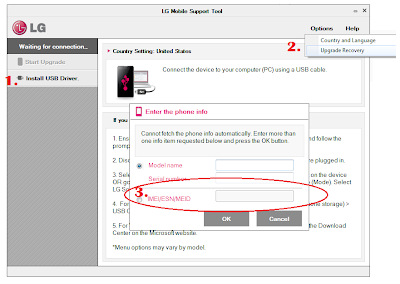 On the Pop up window, Check mark IMEI\ESN\MEID ( Enter Your IMEI its located on the back of the phone , remove battery) Click ok and proceed. The next windows will show Lg mobile working searching for device. You will see Lg mobile Tool searching for your device ( give it a couple seconds for comp to detect ) .. Once phone is detected, should take 5-10 mins ..
5. You will be Prompted To disconnect your phone, remove battery reinsert battery and reconnect phone to PC. Follow every step .. Except that you will repeat step 4 .. putting phone back to S/W Upgrade. Once you get S/W Upgrade Screen Proceed to Connect the phone with usb cable. Then Click Retry ( give it a couple seconds for comp to detect ) and wait till Everything is completed .. Phone should turn off and reboot at the end .. Wualllaaaa a... !! Phone is back to its current state where it left at .. working .. Mines was restored with everything how it was . Didn't lose any apps ..text contacts etc. Nice ^_^ hope this helps those who are having the same problem .. restoring the phone back to its working state .. before .. getting that stuck on LG logo - .. Share .. ! !